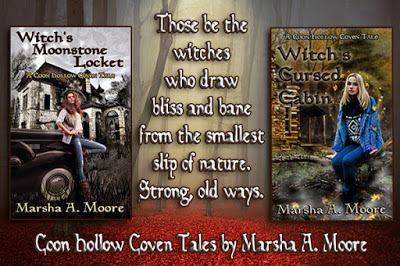 Fantasy Author Marsha A Moore is no stranger to A Well Read Woman Blog. I have done several book reviews for her and have even interviewed her. 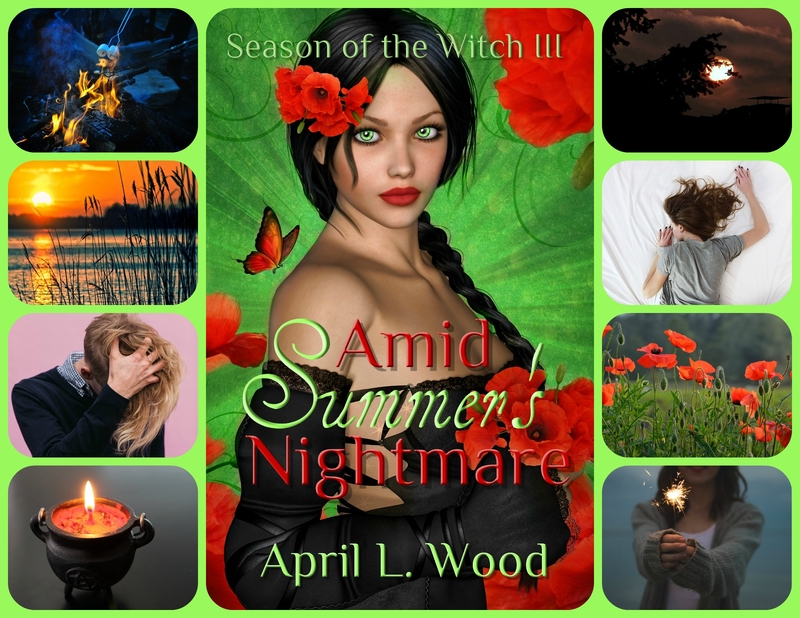 Today I would like to shine the author spotlight on this talented woman. The following is a selection of book reviews and an interview. I hope you enjoy! The following interview was conducted on February 12, 2015. 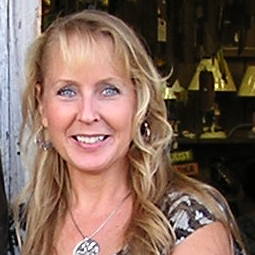 AWRW: Hi Marsha, thank you so much for agreeing to be interviewed on A Well Read Woman Blog! Please tell us a little about yourself and your background. AWRW: Sounds wonderful! Please tell us a little about your novel Shadows of Serenity, and include a short tagline meant to intrigue. Can Joyce Runsey guide her class to become yoga teachers in her new studio, when the ghost inhabiting the old Victorian house has other plans? AWRW: I recently read and reviewed your book, Shadows of Serenity, an excellent paranormal novel about a haunted yoga studio. What was your inspiration behind Shadows of Serenity? As a registered yoga instructor, did you pull a lot of your inspiration from your experiences? AWRW: Please give us some insight into the main character of Shadows of Serenity, Joyce Runsey. What does Joyce do that makes her worthy of the title, “heroine”? What does she do that makes her interesting? AWRW: Excellent answer. I agree that Joyce is a great heroine and I enjoyed living vicariously through her while reading Shadows of Serenity. Speaking of her, if a movie adaptation was made of the novel Shadows of Serenity, who would you like to see play Joyce Runsey? AWRW: Who designed your cover art for Shadows of Serenity? Do you use the same designer for all of your books? And do you think a book cover plays an important role in the buying process? AWRW: It’s a beautiful cover. What genre of books do you write? AWRW: What draws you to this genre? AWRW: Thank you again Marsha for sharing information about yourself, and your work. Where can readers discover more about you? Joyce Runsey spends her life savings to open a yoga studio in an historic Victorian St Augustine house, only to discover the property is haunted. A female ghost’s abusive, and very much alive husband, still tortures her by using dark witchcraft. The disruptive energy thwarts Joyce’s ambition to create a special environment to train students to become yoga teachers. Joyce Runsey just bought a beautiful Victorian home in the woods, with a converted yoga studio, she named Serenity Woods Yoga. It is a great place for her to live, and teach her students the ages-old yogic path, so that they can become teachers themselves. Almost immediately, bad energy surrounds the new construction, and a creepy message is scrawled on one of the boards. Her studio, although well meaning, is bathed in negativity. Joyce learns that her Victorian is inhabited by a restless spirit who once lived there and wants no part in her or her teachings. How is Joyce to make sure her students reach personal growth when a ghost is harassing them? How is she to deliver the spirit from it’s imprisonment? Before Joyce knows it, a Swami blesses her residence, and a paranormal investigative team named the Granny Ghoulies inspect her home. Joyce is willing to try anything to break the cycle of darkness, and the race is on… before it is too late and everyone is affected by the dark spirit. I loved the plot for Shadows of Serenity. The juxtaposition of a serene, peaceful yoga studio, set up against the mystery and dark energy of the paranormal, made for a fascinating read! I can honestly say this was one of the most unique stories I have read to date. 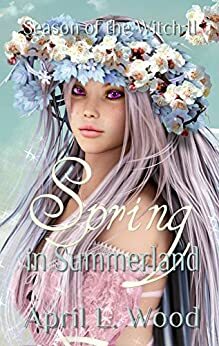 I enjoyed Marsha A. Moore’s ability to build a world around her characters. 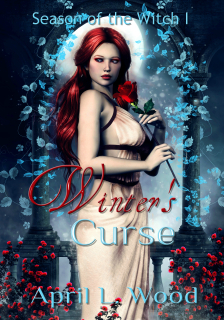 Her writing style made the characters leap up from the pages. When she described the musky exotic scent emanating from the yoga studio, I felt as if I was there, practicing yoga and inhaling incense with the other students. Asana: The art of sitting still. Ahimsa: The principle of non-violence toward all living beings. Eight Limbs of Yoga: Guidelines on how to live a meaningful and purposeful life. Dirgha Breath: A basic breathing exercise that is calming and grounding. Also called “three part breath”. Metta: Empathy. An attitude of friendliness. 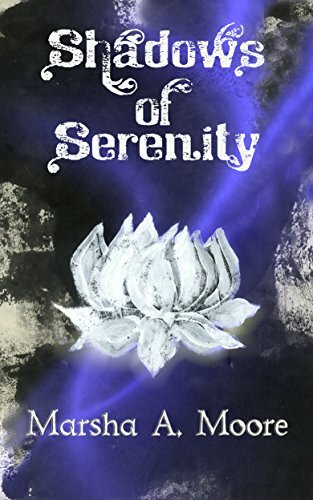 In my personal opinion, lovers of the paranormal, chick lit, and/or books that are yoga themed would love Shadows of Serenity! 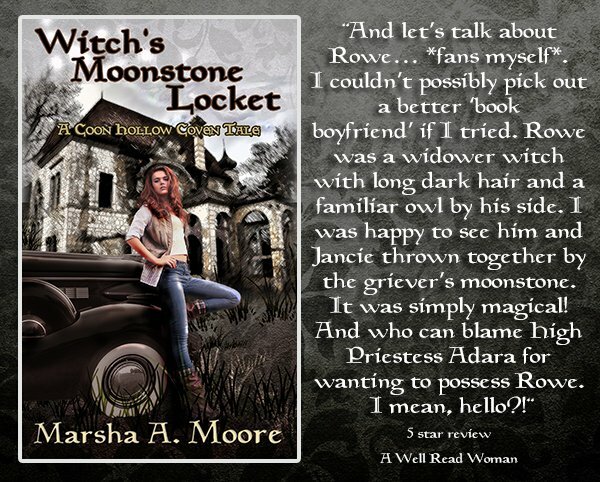 And who can blame High Priestess Adara for wanting to possess Rowe. I mean, hello?! Great interview and I really like the sound of Marsha’s Shadows of Serenity. Thanks for your interest, Mary! And a super big thank you to you, April, for this spotlight! What a wonderful surprise.You’re the best!